Ivy Knitalong: Ivy is growing on me! 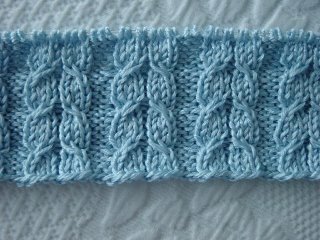 I swatched for my Ivy with Trendsetters Linie 135 and 3.50mm needles and got the correct gauge the first time! Here is a close-up of my progress so far. I really like this pattern (and yarn!). What a great picture - that yarn will make the cabling look so crisp. Nice color, too! 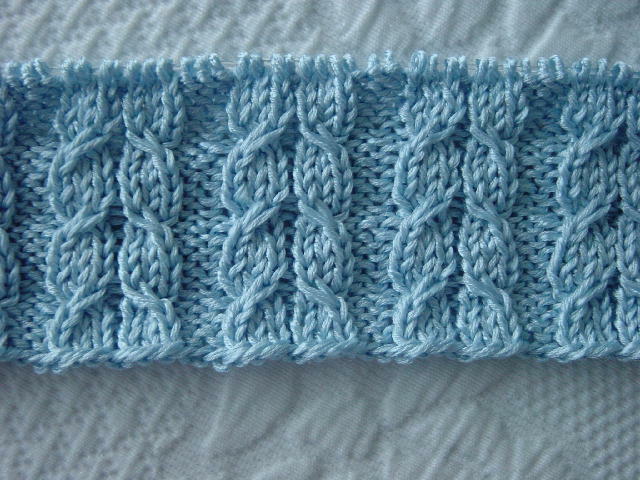 The yarn and pattern are - beautiful - together.